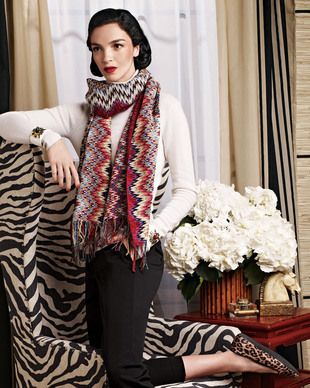 Neiman Marcus Holiday Book 2013 . The Neiman Marcus holiday 2013 book has already been unveiled. The retailer wasted no time and enlisted models Mariacarla Boscono and Lily Donaldson to show off this year's coolest options for the upcoming festive days and we must confess, there are plenty of elegant ensembles worth using as inspiration. A mix of opulence, femininity and sultriness define the new options presented by the luxury retailer. When it came to the fall/winter 2013 trends, most retailers focused mostly on 90s inspired grunge accents and oversized coats, but few dared to explore bolder options such as high shine metallics in their lines. The new Neiman Marcus holiday 2013 lookbook, however offers several noteworthy ideas for those who are interested in rocking the trend in a sophisticated way. Though it's quite hard to top the statement making allure that metallics bring to any mix, there are plenty of fun prints and patterns which can fulfill the same role. Animal prints or elegant abstract motifs are an obvious pick, especially when it comes to putting a playful spin on otherwise simple outfits. Fashionstas who prefer classic accents will also find several pieces worth splurging on in the new Neiman Marcus holiday 2013 lookbook. Chic LBD variations, modern dresses or the old faithful pencil skirt made a part of flirty and unexpectedly fun holiday ensembles are just some of the alternatives the label brings into the spotlight. To make things more interesting, the label brings eye-catching accessories into the mix. Statement jewelry is one of the quickest and simplest strategies for a bolder look instantly and the new Neiman Marcus lookbook brings plenty of thought provoking examples as inspiration. Other cool accessories from the new line are classy black pumps, vibrantly colored gloves, fabulous handbags or cozy scarves which complete the new looks. 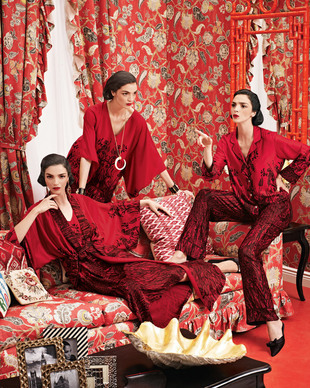 Is there any look you'd like to replicate from the new Neiman Marcus holiday 2013 line?